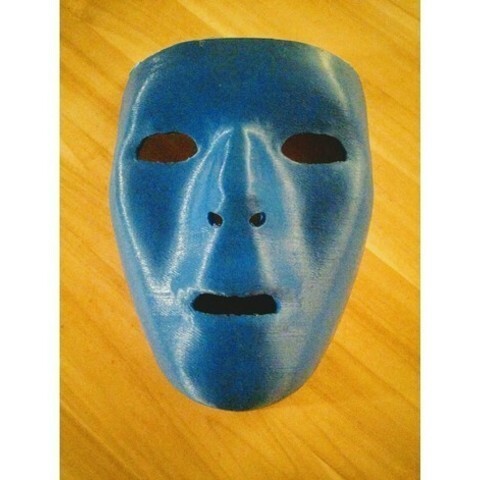 This is a blank mask. Nothing too special about it. If you print it out as is it's slightly disturbing, but it makes a good base for a lot of different projects (For example: http://www.instructables.com/id/THEY-LIVE-alien-costumes/). It's also fun to paint designs on. It is sized for the average human face. Those of you with big heads may need to up it by about 5%. The top has been flattened for easy printing, as such I recommend you orient the model so it prints upside down (forehead on the printer base, chin towards the sky). 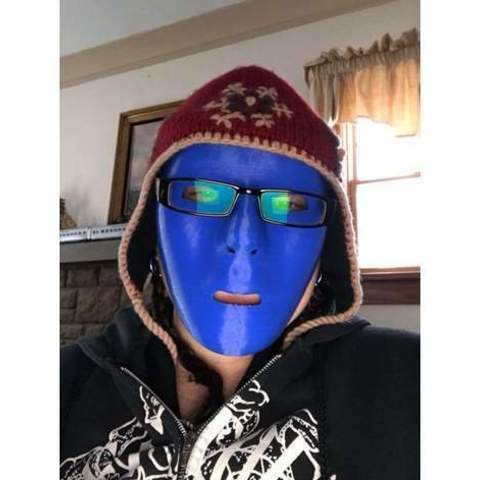 Alternatively you can use this mask as a base to 3D sculpt a perfectly wearable mask in your favorite sculpting program (Right now I use Sculptris or Blender). I've included the .obj file for easy importing into Sculptris as well. If you intend to sand it, I recommend wall thickness of at least 1.2mm, and 10% fill. Also recommended print orientation is chin to the sky, forehead to the deck.